On 'Black Tuesday', 12 November 1912, in the midst of a bitter six-month strike by miners in the small New Zealand goldmining town of Waihi, striker Fred Evans was killed - one of only two fatalities* in an industrial dispute in New Zealand's history. An Australian-born stationary-engine driver, Evans belonged to the militant Waihi Trade Union of Workers. Led by Bill Parry, also Australian-born, this was affiliated to the New Zealand Federation of Labour ('Red Feds') and was implacably opposed to the Waihi Goldmining Company. In May 1912 the union went on strike in protest at the formation of a breakaway union for engine-drivers, which they alleged was backed by the company. The local police inspector initially adopted a low-key response to the dispute, but he was overruled by the tough Police Commissioner John Cullen, who ordered extra forces to be sent to the town. In July William Massey's conservative Reform Party came to power. Enthusiastically backed by Cullen, Massey was determined to crush the 'enemies of order'. Eventually about 80 police - 10% of the New Zealand Police Force - were deployed in the town. Leading strikers, including Evans, were arrested, and more than 60 were gaoled. Parry was sentenced to four months in Mt Eden prison. The Red Fed leaders began to lose control of the strike as workers influenced by the radical American-based Industrial Workers of the World (IWW or 'Wobblies') demanded more militant action. In October the company reopened the mines with non-union labour. Among the strike-breakers was Thomas Johnston, like Evans born in Victoria. Johnston was driven to seek work at Waihi by the failure of his Auckland market garden, which plunged his family into destitution. Travelling to and from work under police protection, he and his fellow 'scabs' were showered with stones and taunts by the striking miners and their wives, who took an increasingly prominent role. 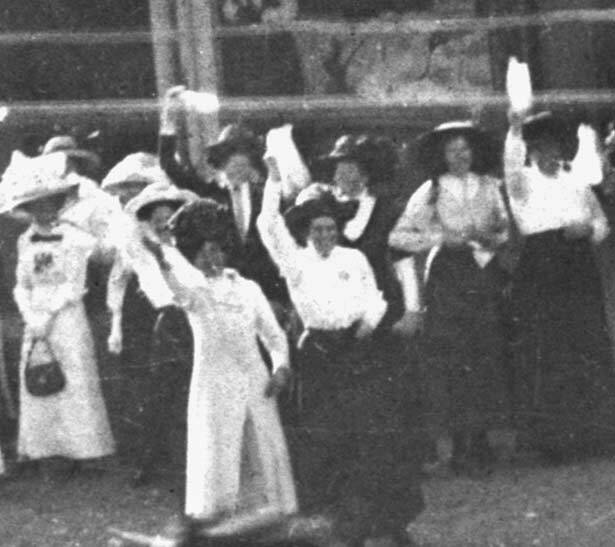 Escalating violence in Waihi culminated in the dramatic events of 'Black Tuesday', 12 November 1912. A crowd of strike-breakers and police stormed the miners' hall, at the time defended by Evans and just two or three other men. Both sides were armed. What happened next is still disputed, but during a struggle at the door, Johnston was shot in the knee, possibly by Evans or another striker. A police constable, Gerald Wade, was shot in the stomach, but managed to fell Evans with his baton. According to some witnesses, Evans went down under a barrage of boots and blows. Left for an hour and a half in police cells before being taken to hospital, Evans never regained consciousness and died the next day. Johnston's injuries were slight, but Constable Wade faced a long, difficult recovery, carrying a bullet near his spine for the rest of his life. As the strike collapsed, strikers and their families were hunted through the streets by armed mobs. The violence was as vicious as any seen in a civil conflict in New Zealand, and hundreds of people fled Waihi over the following days. The Red Feds gave Evans a massive political funeral in Auckland. If Evans had shot a policeman as was claimed, Red Fed leader Bob Semple thundered, then he was 'doing his duty and should have shot more of them.' But despite their rhetoric, the Red Feds responded cautiously to the defeat at Waihi. Many moderate unionists, who had opposed the strike, had become increasingly alarmed at the government's harsh response. Aware of the opportunity this presented, the Red Feds began to seek unity with the moderates they had previously damned. At two unity conferences in 1913 a tentative consensus was reached, and a new United Federation of Labour (UFL) was formed. In late 1913, however, separate disputes on the Wellington wharves and Huntly coalmines escalated into a nationwide watersiders' and miners' strike. This time Massey was determined to crush militant unionism once and for all. Mounted 'special' police, derisively dubbed 'Massey's Cossacks', were soon involved in violent clashes with strikers on the streets of Wellington. When the wharves were reopened with non-union labour, under heavy police protection, the UFL called a general strike, but except in Auckland, where more than 5,000 workers responded, this fizzled out. Within days, many leading unionists had been arrested for 'sedition' or for inciting violence, and by the end of the year the strike had been crushed. Fred Evans's death transformed an obscure figure into a martyr of the labour movement. Each year a commemorative service is held at his grave in Auckland's Waikaraka Cemetery. As for Johnston, he was committed to a mental hospital, escaped, and later disappeared from view. Bill Parry fared better: he was elected to Parliament for the Labour Party in Auckland Central in 1919, and when Labour triumphed in 1935 he became Minister of Internal Affairs. A street in Waihi was even named after him. *The other fatality was Christine Clark who died on New Year's eve 1999 from brain injuries she suffered when run over while on a picket line at the Port of Lyttelton. We have 3 events in history, 4 biographies, 11 articles, related to The 1912 Waihi strike.